Dr. Mary Zupanc is a Clinical Professor in the Department of Pediatrics and Neurology at the University of California-Irvine (UCI). She is also the Division Chief of Pediatric Neurology UCI/Children’s Hospital of Orange County, the Director of the Pediatric Comprehensive Epilepsy Program, and the Program Director for the UCI Pediatric Neurology Residency Program. Dr. Zupanc received her undergraduate degree in Zoology from the University of Wisconsin—Madison in 1974 and her MD degree from UCLA in 1979. She completed her pediatric residency training at the University of Washington—Seattle/ Harbor –UCLA Medical Center and her pediatric neurology training at the University of Wisconsin-Madison under the mentorship of Dr. Raymond Chun. Subsequently, her training in epilepsy has been broad, with additional training at the University of Wisconsin, UCLA, and Stanford University. She has been instrumental in the development of comprehensive pediatric epilepsy programs at the Mayo Clinic, Columbia University, the Medical College of Wisconsin, and currently, the University of California-Irvine/Children’s Hospital of Orange County. Dr. Zupanc is board certified in Pediatrics, Neurology with special competency in Child Neurology, Clinical Neurophysiology, and Epilepsy. 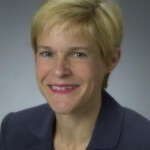 She has published many articles in peer reviewed journals on a variety of topics, including neonatal seizures, infantile spasms, outcomes of pediatric epilepsy surgery, and the efficacy of felbamate in intractable pediatric epilepsy. Dr. Zupanc has been a member of the Child Neurology Society (CNS) and the American Epilepsy Society (AES) since the early 1980s. She has had an active role in the CNS and has served on several committees, including Membership, Electronics, and Legislative Committees. She has also been active in AES, serving as the co-chairperson for the Women with Epilepsy SIG. She is currently on the Nominating Committee of the AES. Dr. Zupanc has been a member of the Professors of Child Neurology (PCN) for many years. In addition, Dr. Zupanc is a current member of the ABPN Maintenance of Certification Committee and has recently completed her tenure on the United Council of Neurological Subspecialties. Dr. Zupanc has also been a program director for pediatric neurology residency training programs at the University of Wisconsin and the University of California-Irvine. She is passionate about education and has been given multiple awards for teaching recognition and clinical care at each of the major institutions she has served. Dr. Andrew Mower is faculty at the Children’s Hospital of Orange County and serves as volunteer faculty at the University of California at Irvine. He earned his MD at Saint George’s University School of Medicine. He completed Pediatric residency, Neurology residency and an Epilepsy / Clinical Neurophysiology fellowship at Maimonides Medical Center, SUNY Downstate and Columbia University respectively. Dr. Mower is a member of the American Academy of Neurology, the Child Neurology Society, and the American Epilepsy Society, and maintains board certifications in Child Neurology and Clinical Neurophysiology. The cerebrum is the largest part of the brain. It is divided into two halves called hemispheres. The left and right hemispheres are the same in appearance. Each half contains parts known as lobes. The lobes control specific activities like moving, thinking, or speaking that your body does. The cerebrum also receives and processes information from the sensory organs. Sensory organs include the eyes, ears, nose, mouth, and skin. The cerebellum is located under the cerebrum. It helps to control balance and coordinate how the body moves. The brainstem is located at the base (bottom) of the brain. It controls basic body functions, such as swallowing, breathing, and heart rate. It also contains nerves that connect directly to the brain. These nerves are called “cranial nerves” and carry messages between the brain and the sensory organs (eyes, ears, tongue). Cranial nerves also carry messages to certain glands and organs such as the heart and lungs. When a patient is diagnosed with epilepsy, it means that the child had two or more seizures for no known reason. About 1% of people have epilepsy. Many patients (about 70%) will have good seizure control with medication. Certain types of seizures will stop on their own over time. Unfortunately, about 30% of children with epilepsy will continue to have seizures even while taking medicine. Epilepsy surgery should be an option for treating epilepsy in these children who have difficult to control seizures. It is not an avenue of “last resort”. Neurons are the basic building blocks of the brain and they help send messages back and forth in your brain. A child’s brain is always developing. The brain creates new connections between neurons. When a developing brain has many seizures, it makes abnormal (bad) circuits. These abnormal circuits become programmed for seizure activity. In other words, the new circuits make it easy for the brain to get “excited” and cause more seizures over time. As more of these networks are formed, it becomes more difficult to control the seizures. When there are a lot of seizures, there will also be changes in cognitive, motor, and psychosocial development, including behavioral problems, difficulties with attention and concentration, as well as learning problems. Our goal is to stop epilepsy as soon as possible. Doctors use antiepileptic medication first. Treating seizures early, and controlling them, will help your child develop to his or her greatest developmental potential. Sixty percent of children will be able to control seizures with the first medication they take. The 40% who still have seizures will be started on a second medication. About 10% of people who take the second medication will be able to control their epilepsy. The remaining 30% are considered “intractable”. This means that the seizures are not controlled with medicine. The next step in treatment is evaluation for epilepsy surgery. Unfortunately, statistics continue to show that many patients with epilepsy are not referred to a tertiary care center for epilepsy for over 17 years! Yet, we know that epilepsy can be labeled as “intractable” if two antiepileptic medications fail to control the seizures. Therefore, many children who are candidates for curative epilepsy surgery continue to have seizures for years before they are referred to a tertiary epilepsy care center. There are risks with any surgery. It is also important to know that there are risks of having uncontrolled seizures. As mentioned above, continued seizures can change how a brain works. It is important to stop seizures before they have an effect on the child’s development. On a positive note, the developing brain of a child is much more “plastic” than an adult brain. This means that it is possible for functions like movement and language to be controlled by a new part of the brain if the original area is damaged. This is not possible in the brain of an adult. For this reason, it is important to have surgery as early as possible. Over the years, we have improved testing and surgical methods. These improvements have resulted in greater seizure control success rates, improvement in quality of life and development, and decreased surgical risks. In order to be a candidate for surgery, the child will have a pre-surgical evaluation. This is needed to identify where in the brain the seizure starts. This location is known as the seizure focus. There are many different types of epilepsy. They can be divided into two major categories: Generalized and Partial. The generalized epilepsy syndromes are usually idiopathic/genetic in origin, even if there is no one else in the family with epilepsy. These epilepsy syndromes can be related to abnormalities in sodium, potassium, or calcium channels. Examples of such syndromes include childhood absence epilepsy (previously known as “petit mal”), juvenile absence epilepsy and juvenile myoclonic epilepsy. Most of these idiopathic generalized epilepsy syndromes are relatively easy to control. Some epilepsy syndromes can be very difficult to treat, such as Dravet syndrome, an epilepsy syndrome associated with an abnormality in sodium channels and associated with intractable epilepsy as well as psychomotor regression. The idiopathic generalized epilepsy syndromes are usually not remediable to epilepsy surgery. Cortical dysplasias (figure 2) – malformations in how the brain was formed prior to birth; these malformations may be very difficult to detect even using sophisticated brain neuroimaging. Cerebrovascular accident or stroke (Figure 3) – Even children can have strokes that can result in permanent injury to the brain and concomitant epilepsy. 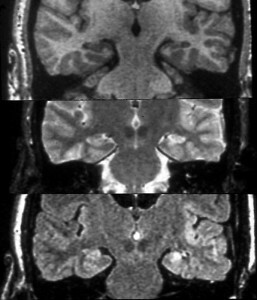 Sturge-Weber syndrome (Figure 5) – a progressive malformation of the venous draining system, often more prominent over the posterior region of the brain. 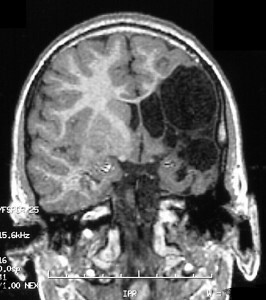 Tuberous sclerosis (Figure 6) – a multisystem disorder that frequently presents with tubers/growths in the brain, early onset epilepsy(including infantile spasms), cognitive impairments, autism, renal angiomyolipomas, and cardiac rhabdomyomas The tuber that is causing many of the seizures can often be resected. 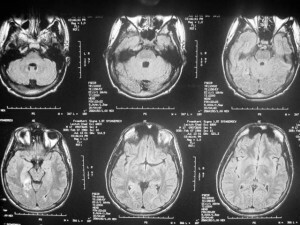 Tumors in the brain (Figure 7). Even patients with no obvious structural lesion on MRI scan of the brain may be appropriate epilepsy surgery candidates, particularly if their seizures are focally generated. This may imply that the patients have areas of “microdysgenesis” in the brain. This means that there are abnormal brain cells/neurons with abnormal neurocircuitry that are intermixed with normal brain cells. This can result in a normal MRI scan of the brain at the macroscopic level, but abnormal at the microscopic level. In addition, there can be patients with generalized epilepsy syndromes, such as Lennox-Gastaut syndrome, who can be appropriate epilepsy surgery candidates. These patients have generalized and multifocal epileptic discharges in the brain associated with multiple seizure types, including tonic, atonic, generalized tonic clonic, and myoclonic seizures. If these patients have underlying focal structural lesions/abnormalities in the brain, they can also be appropriate epilepsy surgery patients – for either corpus callosotomy and/or focal resection. The evaluation for epilepsy surgery often requires a series of diagnostic tests which are outlined below. The purpose of the pre-surgical evaluation is to establish “congruence”, i.e., a compilation of the data that points to one specific area of the brain for surgical resection. Does the epilepsy pose a risk for developmental delays or regression now or in the future? For example, if a young 4 year old is having recurrent seizures once per month and has failed two or more antiepileptic medication; he/she should be considered for epilepsy surgery. If the seizures persist, the child will not drive a car, will have difficulty holding a job, and will be at high risk for academic failure, anxiety, and depression. Can the seizure focus be precisely identified? Can the seizure focus be removed without causing unacceptable neurologic deficits? Sometimes the tests indicate a region of the brain, but not a specific location. In those cases, we may recommend invasive EEG monitoring, i.e., placing electrodes directly on the surface of the brain, in order to exactly localize the seizure focus. This may sound scary, but fortunately the brain does not have pain receptors. Therefore, the invasive EEG monitoring is readily tolerated by both children and adults. LTM is the cornerstone of the pre-surgical evaluation (Figure 9). The EEG measures electrical activity in the brain. Long term video EEG monitoring shows neurologists/ epileptologists what the seizures look like, how they begin, and how the EEG changes during seizures. LTM also shows the neurologist if there is any abnormal interictal (“between seizure”) electrical activity in the brain. Just like during a regular EEG (or electroencephalogram), electrodes will be attached to the child’s head with paste. The EEG only measures brain activity. The child is not exposed to any radiation and will not be injected with any dyes or other substances. A video camera will record the child’s physical activity and the child will be recorded at all times during the LTM, both while awake and asleep. The video picture and EEG are synched together, so when the child has a seizure, the neurologist can follow the seizure development along with the electrical activity that the brain produces at the time of the seizure. The LTM can help the neurologist determine what part (or parts) of the brain a seizure is coming from. The child will spend at least 3-5 days in the hospital. However, it may take more days to record enough seizures to determine where the seizures are coming from. 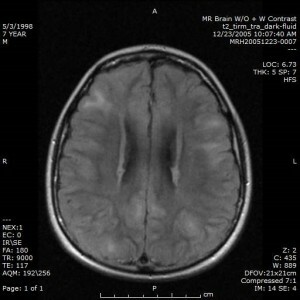 An MRI scanner is a machine that uses a large magnet, radio waves, and a computer to take detailed pictures of the brain. The MRI machine is a large, cylindrical (tube-shaped) machine that creates a strong magnetic field around the patient. Computers make pictures of the brain based on the activity of hydrogen atoms that move through the magnetic field. It does not use radiation and there are no known harmful effects from having an MRI. It is very important that the child does not move during the entire test. Young children usually need anesthesia so that they will not move. This also means that they cannot eat for several hours before the test. The MRI scan of the brain enables the neurologist to look at thin slices of the brain and visualize even small abnormalities. With the latest technology, a high resolution MRI (3 Tesla) may pick up abnormalities previously missed with regular MRI scans (1.5 Tesla). There are also special ways to look at the brain via MRI that enable the neurologist to see the connections between the neurons (white matter tracts) that may help localize a cortical dysplasia or help the neurosurgeon with a surgical plan. The cells in our body use glucose (sugar) as a source of energy for the many functions that our body does every day. An interictal (“between seizure”) PET scan (Figure 10) measures metabolic activity of cells. This means that it shows how much glucose is being used in the different regions of the brain to provide energy for the brain’s functions. An area of the brain that is using less glucose (or “hypometabolism”) may indicate damaged tissue. This damaged tissue could be the seizure focus. In other words, it could be the part of the brain that is causing the child’s seizures. During the test, a radioactive glucose containing substance will be injected into a vein. A concomitant EEG is usually being performed at the same time as the substance is injected. This is to insure that the PET scan is being obtained interictally, i.e., not during a seizure. Your child will be asked to rest for 30-45 minutes. The substance (or “tracer”) will travel to the brain. The PET scan records the signals that the tracer sends out. The signals are used to create an image of the brain, and show how the brain breaks down and uses glucose. The radiation that is used for the PET scan is safe and exposes the child to less radiation than that used for a CT scan. Neuropsychological testing gives us an idea of how the brain works. We look at the tasks that your child is good at, as well as the things that are more difficult for the child to do. This helps us determine how the different parts of your child’s brain are functioning. This can provide clues to the location of the seizure focus. Most neuropsychological tests take 4–8 hours. This can be done over two or three days. You will be asked questions about the child’s developmental history. You will also be asked about how they are doing in school. You may also be asked about the child’s emotions and behaviors. The child will be asked questions, such as “Do you like school?” He or she may be asked to do some puzzles and games. There are no “shots” or other medical procedures involved. Language (speech) is controlled by one side of the brain. In most people, the left side of the brain controls language. Memory-verbal and nonverbal-can be controlled by both sides of the brain. The Wada test (named after Dr. Wada) will tell the doctors which side controls language and which side has better memory. If seizures are coming from the side that controls language or has better memory, the neurologist and neurosurgeon will review the risks of epilepsy surgery vs. the benefits of epilepsy surgery. We may also decide to do a functional MRI scan to get more information. The functional MRI scan is described below, but with respect to speech and language, does require cooperation from a child/adolescent as well as the ability to lie perfectly still in an MRI scanner during the testing. This is not feasible for many young patients. During the Wada test, a catheter (a long, narrow tube) will be placed into an artery (a blood vessel) in the leg. This area will be anesthetized; some children will be transiently sedated. The catheter is led through the vessel to the right or left carotid artery. The carotid arteries are the blood vessels in the neck that bring blood from the heart to the brain. The neuroradiologist will put a substance called sodium amobarbital (also called sodium amytal) into the right or left carotid artery. If the right carotid artery is injected, the right side of the brain will go to sleep and won’t be able to communicate with the left side. The child will be temporarily weaker on the left side of his/her body. The neuropsychologist will show your child some objects and pictures. The awake side of the brain will try to recognize and remember what it sees. The child will also be asked to speak and name objects as well as to answer simple questions. The sodium amobarbital wears off after a few minutes and the brain will be fully awake. Your child will have full strength again. The neuropsychologist will then ask the child if he or she can remember what was shown. The process is then repeated with the left side of the brain sleeping. Observations from early epilepsy surgeries suggest that seizures are accompanied by a significant increase in blood flow at the location of the seizure focus in the brain. 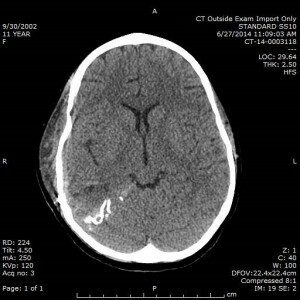 An ictal SPECT scan shows the amount of blood flow in the brain during a seizure. A safe, very low-level radioactive substance is injected into an artery in the arm at the onset of the seizure (the patient is on long-term video EEG monitoring at the time of the injection). The radioactive substance, called “Neurolite”, crosses the blood brain barrier in direct proportion to blood flow. In other words, it acts like a dye. As more blood flows through a certain area of the brain, the more that area will “light up” in the scan. This creates a picture with different colors representing different levels of blood flow. When a seizure occurs, there is more blood flow in the area where the seizure starts. Therefore, a SPECT scan during (or immediately after) a seizure may show more blood flow in the area where the seizure began. 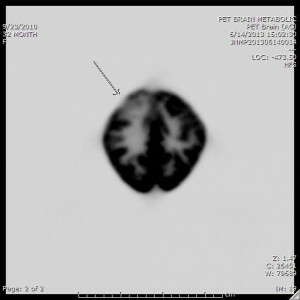 The ictal SPECT may be challenging to obtain because the nuclear medicine technologist must be at the bedside at the time the seizure occurs and inject the Neurolite within 20 seconds of the onset of the seizure. 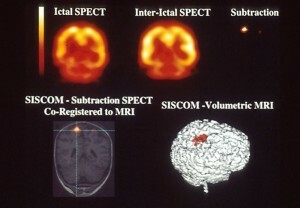 Subsequently, a SPECT scan in repeated interictally (“between seizures”). Subtraction SPECT is a process whereby the ictal SPECT is subtracted from the interictal SPECT using a computer analyzer (Figure 11). This will usually indicate a specific region of the brain that has more blood flow during a seizure. This “hot spot” will then be co-registered with a volumetric, 3-D model of the brain to more precisely pinpoint the seizure focus. Subtraction SPECT does enhance the accuracy of localizing the seizure focus. There are small electrical currents inside the neurons of the brain. These currents produce small magnetic fields. MEG measures the magnetic fields created by the neurons. The MEG creates a picture of these magnetic fields. The pictures are combined with an MRI (which shows brain structure) to show which areas of the brain may be causing the seizures. MEG is similar to EEG (electroencephalography). One big difference between an EEG and MEG is that the skull, the cerebrospinal fluid, and the linings around the brain do not affect the magnetic fields measured by MEG. Therefore, the MEG can sometimes be more accurate than an EEG, especially when looking at deep, midline areas of the brain, such as the mesial frontal or mesial temporal lobes. The MEG can also track the epileptic discharges over time as well as over space. This can be especially helpful if the patient has a seizure during an MEG. MEG may be difficult in younger children as they must sit still during the exam to ensure the best recording. 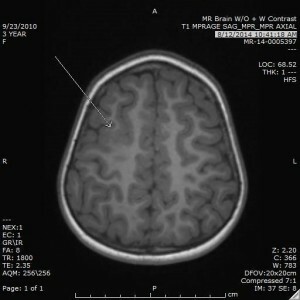 Functional magnetic resonance imaging (fMRI) uses MRI imaging to measure tiny metabolic changes that take place in an active part of the brain. A functional MRI may require cooperation from a child/adolescent as well as the ability to lie perfectly still in an MRI scanner during the testing, especially if the functional MRI scan is being performed to localize speech and language. This type of functional MRI scanning is not feasible for many young patients—either because they do not have enough speech and language to test and/or they cannot lie still during the test. On the other hand, a functional MRI scan can be performed to localize the motor area of the brain. This can be done under sedation, without a child’s cooperation. During the test, the child will be asked to perform a particular task, such as moving his/her fingers or answering simple questions. If fMRI for localizing the motor area of the brain is being performed, a technologist may move the child’s fingers or stroke the child’s hand. If a language fMRI is being performed, this does require patient cooperation and participation in the task. When a specific task is performed, there is increased metabolic activity in the area of the brain responsible for the task. This activity, which includes expanding blood vessels, chemical changes and the delivery of extra oxygen, is recorded on MRI images. This can help the neurologist determine the location of different functions within the brain, such as movement, speech, and vision. It may also let the neurologist know if an area of the brain is not functioning properly. After the pre-surgical evaluation is completed, the neurologist/epileptologist will present the child’s case to a multidisciplinary group of healthcare professionals. This is a group of people including neurologists, neurosurgeons, neuropsychologists, and neuroradiologists. During this meeting, the child’s case will be presented along with the results of the pre-surgical evaluation. There will be a subsequent discussion to decide if the child would benefit from epilepsy surgery. If epilepsy surgery is recommended, there will also be a discussion about the need for invasive EEG monitoring to more precisely localize the seizure focus and the overall surgical plan. In addition, there will be a general discussion about the risks vs. benefits of epilepsy surgery. If epilepsy surgery is decided NOT to be an option, the group will also make recommendations regarding the next steps in treatment. This may be a recommendation for another antiepileptic medication or a recommendation for implantation of a vagal nerve stimulator or other devices. If a single seizure focus is identified, there is a chance that the brain tissue can be surgically removed. In some cases, we may only remove a small area (for example, if your child has a tumor). Some surgeries may be larger, and the physicians will recommend removing a specific lobe of the brain or perform a multilobar resection. This is known as a lobectomy. If a seizure is coming from a larger area of the brain, we may remove the entire left or right hemisphere. This is known as a hemispherectomy. In general, removal of a small amount of brain tissue for epilepsy surgery is not effective as it does not remove the entire epileptogenic (seizure producing) network of neurons. Even though a lobar/multilobar resection or hemispherectomy may sound drastic, the consequences of continued seizures in the developing brain may also have catastrophic effects—with the production of neuronal networks that are permanently “hyperexcitable”. In addition, there can be consequences for the child’s development. Furthermore, an infant/child’s brain has great “plasticity”, i.e., the ability for other parts of the brain to take over the functions of the portion of the brain that was resected. In some cases, the pre-surgical evaluation may not be able to tell us the exact location where the seizures are coming from. This child may have two surgeries: (1) Invasive, intracranial EEG monitoring, in order to more precisely identify the seizure focus, followed by a (2) Resection. During invasive intracranial EEG monitoring, the child will be brought to the operating room. The skull will be opened and electrodes will be placed directly on the surface of the brain (Figures 12 and 13). The electrodes will stay on the brain, and wires that are connected to the electrodes will come out through the scalp. The child will return to the epilepsy monitoring unit, with the electrodes in place, for several days until enough seizures and information from the EEG are captured. As stated above in a previous section, the brain does not have pain receptors. Therefore, during the invasive intracranial EEG monitoring, your child will not be experiencing significant pain. The majority of patients are able to talk, eat regular food, watch TV, and play video games during the invasive EEG monitoring. When enough information about where the seizures are coming from is gathered, the child will return to the operating room. The electrodes will be removed and the neurosurgeon will remove the part of the brain that is causing the seizures. Some children have intractable generalized epilepsy. Intractable means that the seizures cannot be controlled with medication.Generalized means that the seizures start all over the brain at the same time. This means there is not one specific location that can be easily removed to stop the seizures. These children can still benefit from surgery. Surgeons can perform a palliative procedure, one that is not curative, but may decrease the frequency or severity of their seizures. For example, we may disconnect the corpus callosum. This is the part of the brain that connects the left side to the right side. If we disconnect the two sides, we will slow the spread of the abnormal brain activity which causes seizures. It may even reduce certain seizure types altogether. This is called a corpus callosotomy. It is specifically performed in those patients who have intractable tonic or atonic seizures. Other palliative options have been developed. For those patients that have undergone intracranial monitoring, and were found to have the onset of their seizures in eloquent cortex, Responsive Neurostimulation, or NeuroPace may be an option. This is a device implanted in the skull that measures the seizure activity in the area found to be generating the seizures and sends an electrical signal to disrupt the seizure. The epileptologist will review the monitoring and can program the stimulation to better control the seizures coming from that region. As stated in a previous section, patients with generalized or multifocal epileptogenic discharges may have an identifiable lesion on the MRI scan of the brain. If this is the case, these patients may benefit tremendously by removal of the identifiable lesion. An example of such a case would be a patient with Lennox-Gastaut syndrome, with generalized and multifocal discharges on EEG and tonic/atonic/generalized tonic clonic seizures, who has a left middle cerebral artery infarction/stroke. By doing a hemispherectomy, the patient may become completely seizure free, with significant improvement in quality of life and developmental outcome. Insurance companies will cover the cost of epilepsy surgery as there have now been multiple studies which have documented improvement in seizure outcomes, improvement in quality of life and developmental outcomes, as well as a significant decrease in total medical and nonmedical costs for the patient over the life span. Many physicians and lay people believe that epilepsy surgery is an avenue of last resort or that epilepsy surgery poses too great a risk to consider as a possible avenue of treatment. Nothing could be further from the truth. There are consequences to continued seizures, especially in the developing brain of a child and young infant. If the developing brain is subjected to an ongoing “electrical storm” from continued and progressive seizures, the brain, with the formation of abnormal neuronal circuitry and heightened “excitability”, does not develop properly. This will result in the continuation of seizures and declines in cognitive/motor function. The continuation of seizures, along with the underlying cause/etiology for the seizures, are the two highest predictors of ultimate developmental outcome. Often times, neurologists cannot eliminate the cause of the seizures, but a multidisciplinary team from an epilepsy center can work together to identify and resect the seizure focus, resulting in a dramatic improvement in seizure control and quality of life. As a child grows up and the seizures persist, there are additional co-morbidities, i.e., consequences of his/her epilepsy, including academic failure, poor self-esteem, anxiety, depression and a four times higher risk of suicide. In addition, there is a risk of SUDEP, i.e., sudden unexpected death due to epilepsy, which can be as high as 1:250. The greatest risk factors for SUDEP include male gender, nocturnal generalized tonic clonic seizures, and medication noncompliance. With respect to prognosis for epilepsy surgery, the overall surgical success rate will vary depending on the etiology for the seizures, the specific epilepsy syndrome, and the area of resection. In general, for patients who have epilepsy associated with mesial temporal sclerosis, the seizure free outcome can be as high as 90-95%. In patients who have pathology confined to one hemisphere and who have a hemispherectomy, the seizure free outcome may be close to 100%. On the other hand, in patients who have cortical dysplasia, the statistics vary from 50-67% seizure free outcome. Virtually all of these patients have a significant improvement in seizure control following surgery. The outcomes vary because patients with cortical dysplasia often have widespread epileptogenic/seizure-causing regions, some of which cannot be removed because of their location near ‘eloquent” or highly functional tissue and would result in adverse neurologic deficits. At other times, it may be difficult to specifically localize the entire epileptogenic/seizure focus. Although these seizure outcomes may appear to be low, parents and patients should be aware of the consequences of NOT performing epilepsy surgery, coupled with the even lower chance that further antiepileptic medication will improve seizure control (estimated to be at 5-10%). There can be complications from epilepsy surgery. The risks include infection, stroke, bleeding, and even death. In general, the risk of death is less than 1%. The risks of significant, long-lasting injury due to epilepsy surgery is less than 5%. In addition, the risk that epilepsy surgery will cause a new “seizure focus” is felt to be negligible. The best way to prevent the consequences of epilepsy is to completely control the seizures—whether with antiepileptic medication or epilepsy surgery. Implantation of the vagal nerve stimulator is a palliative, not curative, procedure, that is intended to be used in those patients who have not been controlled with antiepileptic medication and are NOT epilepsy surgery candidates. In addition, the ketogenic diet (a very tightly monitored, high fat diet) is sometimes used to help control seizures, but is not intended for long term therapy. The ketogenic diet often significantly improves seizure control, but rarely produces seizure freedom. It typically is not used for longer than two years as this diet can affect growth and nutritional status. This organization often has local chapters and can provide families with helpful information about epilepsy, antiepileptic medication, other epilepsy therapies including epilepsy surgery, school information, etc. www.epilepsy.com. Absence seizure: A generalized seizure type involving staring and unresponsiveness, typically without automatisms (repetitive purposeless movements). These were previously known as petit mal seizures. Atonic seizure: A generalized seizure type that involves complete cessation of all muscle activity, including resting muscle tone, typically causing the patient to fall or drop. Automatism: A symptom during a seizure consisting of repetitive purposeless movements. Automatisms are seen often with temporal lobe seizures. Complex partial seizure: A seizure typically arising from one part of the brain (temporal lobe, frontal lobe), causing staring, unresponsiveness, and automatisms. Corpus callosotomy: The surgical dissection of the corpus callosum that separates the hemispheres. Cortical dysplasia: An area of cortex that developed improperly (malformation) and tends to generate seizures. These may or may not be seen on MRI. Dravet’s syndrome: A type of catastrophic, intractable generalized epilepsy with prolonged febrile and afebrile seizures, developmental delay or intellectual disability caused by a genetic mutation. Drop attack: A non-specific term for any seizure type that causes a patient to fall. 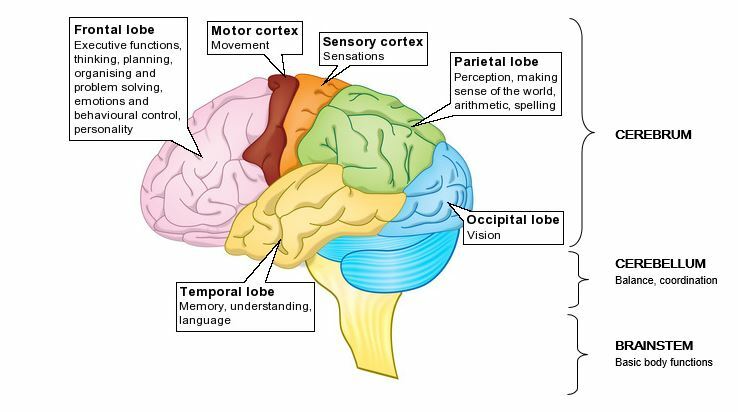 Eloquent cortex: An area of the brain that controls an important or vital function such as motor skills or language. Epilepsy: A disorder of the brain characterized by repetitive, unprovoked seizures. Epilepsy syndrome: A specific type of epilepsy characterized by seizure types, EEG findings occurring at an age range and/or developmental state. 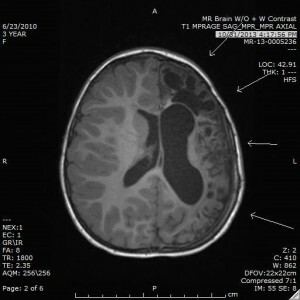 Hemispherectomy: The surgical removal or disconnection of one hemisphere of the brain. Infantile spasms: A type of seizure occurring in infancy that involves quick flexion or sometimes extension of the body, often in clusters. Intractability: The failure of two or more standard anticonvulsant medications to control seizures. Generalized tonic clonic seizure: A seizure involving stiffening and jerking of all extremities. Also known as a convulsion; previously called a grand mal seizure. Ketogenic diet: A diet consisting of higher fat and protein content, that is an option for children with intractable epilepsy. Lennox Gastaut syndrome: An epilepsy syndrome characterized by multiple seizure types (usually with tonic or atonic seizures) that are intractable to medications, have characteristic EEG findings, and show a history of developmental delay and/or intellectual disability. Lobectomy: The surgical removal of a lobe of the brain. Myoclonic seizure: A generalized type of seizure involving a lightning-fast jerk of the arms, shoulders, and/or whole body. Palliative: A procedure or treatment designed to help symptoms, but not cure a disorder. Plasticity: The ability of the brain to “rewire” or create new circuits in order to perform a function despite a neurologic injury. Remission: The disappearance or outgrowing of a disease. 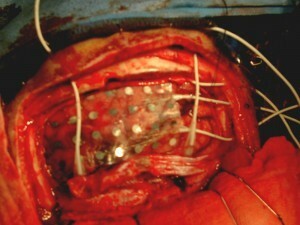 Resection: Surgical removal of a part of the brain. Responsive neurostimulation (NeuroPace): A device implanted in the skull that records seizures and sends a signal to an area of the brain generating seizures in eloquent cortex. Seizure: Repetitive, synchronized discharges in the brain that temporarily disrupts the function of regions of the brain or the whole brain causing characteristic symptoms such as tonic-clonic movements, stiffening, staring, and unresponsiveness. Status epilepticus: A prolonged convulsive seizure lasting more than 30 minutes. The definition also includes back-to-back seizures in a 30-minute period in which the patient does not regain consciousness. Tonic seizure: A generalized seizure that involves generalized activation of all muscle groups, typically causing arm extension and stiffening of the whole body. This may cause a person to fall or drop. Vagal nerve stimulator: A device that is implanted under the collar bone that sends a signal to the vagus nerve, helping to reduce seizure severity. Holmes GL and Ben-Ari Y. Seizures in the developing brain: Perhaps not so benign after all. Neuron 1998; 21:1231. Kwan P and Brodie MJ. Early identification of refractory epilepsy. NEJM 2000;342:314. Knowlton RC. The role of FDG-PET, ictal SPECT, and MEG in the epilepsy surgery evaluation. Epilepsy Behav 2006; 8:91-101. Kuzniecky RI and Barkovich AJ. Malformations of cortical development and epilepsy. Brain Dev 2001; 23:2. O’Brien TJ, So EL, Cascino GD, et al. Subtraction SPECT coregistered to MRI in focal malformations of cortical development: Localization of epileptogenic zone. Epilepsia 2004; 45:367. Shields WD. Catastrophic epilepsy of childhood. Epilepsia 2000; 41 (Suppl 2):S2. Wheless JW, Willmore JI, et al. A Comparison of MEG, MRI, and V-EEG in patients evaluated for epilepsy surgery. Epilepsia 1999; 40:931. Wyllie E, Lachhwani DK, Gupta A, et al. Successful surgery for epilepsy due to early brain lesions despite generalized EEG findings. Neurology 2007; 69(4): 389-397. Wyllie E. Surgical treatment of epilepsy in children. Epilepsia1998; 34:859. Wyllie E, Comair YG, Kotagal P, et al. Epilepsy surgery in infants. Epilepsia 1996; 37:615. Wyllie E, Comair YG, Kotagal P, et al. Epilepsy surgery in children and adolescents. Ann Neurol 1998; 44:740. Zupanc, ML, Santos Rubio R, et al. Epilepsy Surgery Outcomes: Seizure control and QOL. Pediatric Neurology 2010; 42:12.